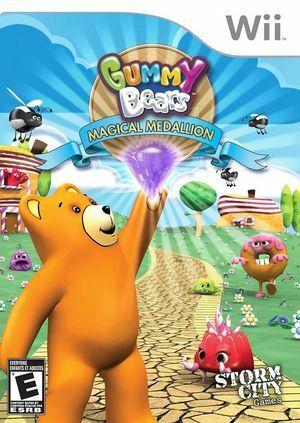 In Gummy Bears: Magical Medallion the Gummy Bears kingdom has fallen under the rule of the dastardly King Sour Berry! The King discovered the magical medallion which kept the Gummy Bears Kingdom hidden from him. He has stolen the four mystical gems from the Gummy Bear Medallion. You must find the gems and return them to the Medallion to hide the kingdom from the evil King once more. You are the Gummy Bear's only hope! The graph below charts the compatibility with Gummy Bears: Magical Medallion since Dolphin's 2.0 release, listing revisions only where a compatibility change occurred.